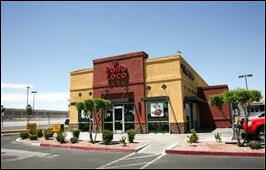 Bonanni Holdings Nevada LLC , an all cash private investor from California purchased El Pollo Loco, a 2,655-square foot net-leased property located at 2375 East Sahara Avenue in Las Vegas, Nevada. The asset sold for $2,100,000. Tina D. Taylor, an investment specialist in Marcus & Millichap’s Las Vegas office, had the exclusive listing to market the property on behalf of the Seller, Oakmont West, LLC. The buyer was an all-cash private investor from California.